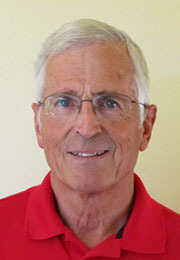 Denny Mosher served as the President and CEO of Bay-Tec Engineering between 1982 and 2005. Denny founded Bay-Tec to provide custom process control systems to the major Biotech and Pharmaceutical companies on the West Coast. Under his leadership the company grew to 65 employees and $11 Million in revenue before it was sold in 2005. In his retirement, he serves on the Board of Napa Sunrise Rotary. Denny is serving his 3rd term as Secretary of the Board for Developing Communities.